We are a leading Manufacturer of cylinder block and lister cylinder block from Rajkot, India. Cylinder Block is offered by us to customers in bulk. One can avail this Cylinder Block to customers in bulk at reasonable rates. The offered Cylinder Block is manufactured by using good quality material that we sourced from the reliable vendors of the market. 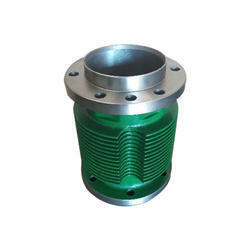 Our Cylinder Block has a long service life and gives a pleasant performance to the user. To meet the specific requirements of our clients, we offer Lister Cylinder Block¿¿in different sizes and specifications. This Lister Cylinder Block is extensively used in industrial applications as per the requirements. The offered Lister Cylinder Block is easy to use and durable in nature. Looking for Cylinder Block ?